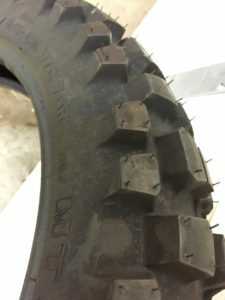 After trying a 80/20 tire in the Mitas E-12, I thought I’d give a similar tire a try in the Pirelli MT21. It also is a 80/20 or possibly 90/10 offroad to road bias and comes with great reviews. There are two aspects that riders tend to focus on with this tire – grip and longevity (short). It’s a cheap tire price-wise, so I thought I’d give it a go to end the season. I’ve been quite impressed. 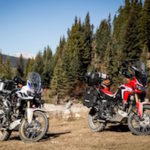 My seat of the pants feel on these tires is that they perform really well in soft and hard terrain on the Africa Twin. They are a good gravel tire especially at slightly lower than OEM recommended pressures. They are good in muck and loose dirt in two track terrain. And surprisingly, are decent on the road. I’ve tested them, so far in: tarmac, gravel, dirt, sand, muck (wet dirt but not full-on mud), clay and a bit of icy snow. 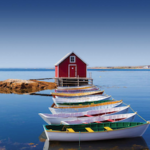 In all instances the tire has performed very well – no surprises. Reports said this tire wouldn’t last long, some incredibly suggesting 1,000 kilometres or less. I’ve already put on 1,500 and there is at least 2/3 of the tire’s life left. I think for offroad useability it has a life of about 5,000 for me, which is excellent since it was a $130 tire. The Pirelli MT21 tire does howl quite a bit at highway speed, more than any other 50/50 or knobby that I’ve had on a bike. But with earplugs it’s really not a huge issue for a good performing tire. I’m still going on the front tire – Michelin Anakee Wild. It will easily make it to 10,000 kilometres and hasn’t had any noticeable change in on road or offroad behavior. 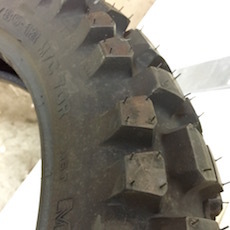 I’d certainly buy another MT21 rear tire if I was mainly riding offroad but the Mitas E-12 was slightly more surefooted in gravel, has more overall ‘bite’ and lasts at least 1/3 more in comparison. 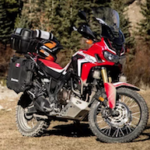 I’ll use the remaining MT21 life next spring after the winter hiatus and set the bike up for another cross-Canada trip with the Mitas E-07 as the rear. I’ve heard rave reviews about the Mitas E-07 and how well it does as a 50/50 tire and its supreme longevity (upwards of 15,000 + kilometres). I think I’ll possibly go for another Michelin Anakee Wild front since it performs so well as a gravel tire and will be useful on the Trans-Labrador Highway at the beginning of the trip and performs admirably on the highway. The Anakee Wild has worked so well in all conditions that I’m reluctant to actually use the Mitas E-07 Dakar front tire that is sitting in my garage, though maybe I’ll give it a go anyway as another test and experiment.